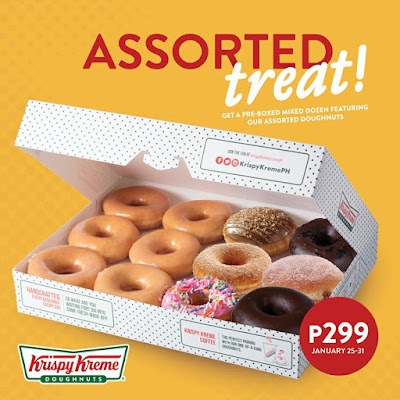 Krispy Kreme's Assorted Treat Promo is back, with a taste of chocolate! From January 25-31 2018, enjoy 6 Original Glazed and 6 Pre-Assorted doughnuts for only P299. *The 6 Pre-assorted doughnuts include: Chocolate Glazed, Chocolate Glazed with Sprinkles, Classic Cinnamon, Dulce de Leche, Salted Caramel, Snickerdoodle, and Strawberry with Sprinkles. 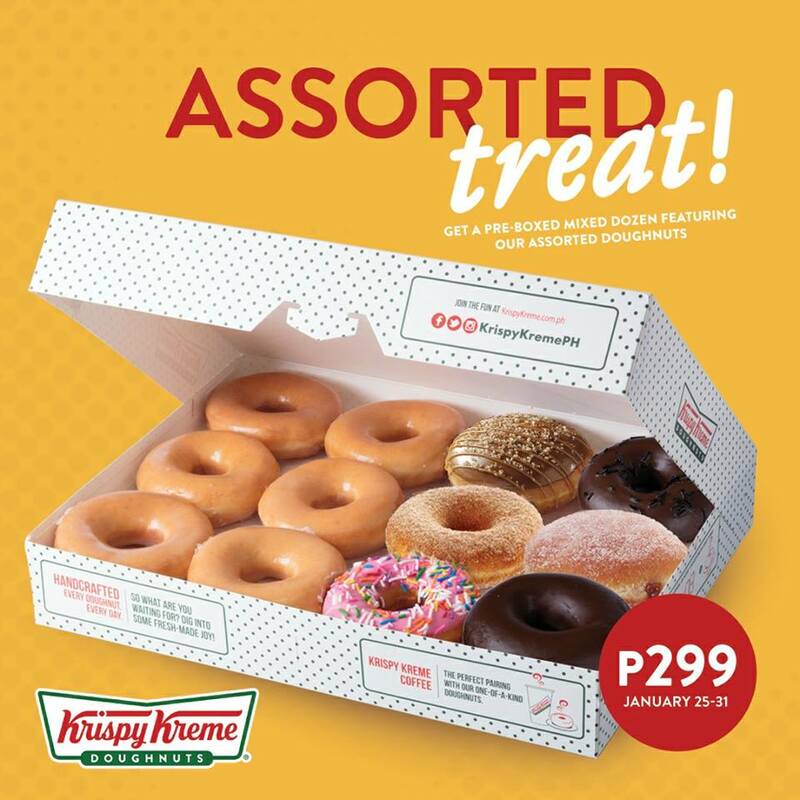 *Promo is valid in all Krispy Kreme stores except SM MOA Arena and Airport stores.